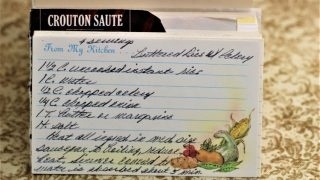 Front of the recipe card for Buttered Rice and Celery. 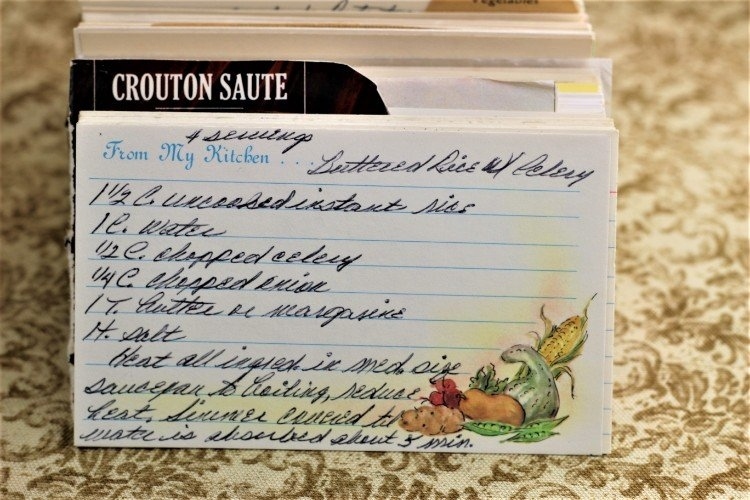 There are lots of fun recipes to read in the box this recipe for Buttered Rice and Celery was with. Use the links below to view other recipes similar to this Buttered Rice and Celery recipe. If you make this Buttered Rice and Celery recipe, please share your photos and comments below! Heat all ingred. in med. size saucepant to boiling, reduce heat. Simmer covered til water is absorbed about 5 min.